A range of products that provides a choice between Anchor Cotton with a smooth touch, Anchor Alcazar rayon with superb sheen and Anchor Metallic for a special metallic effect. Matching embroidery requirements for modern embroidery machines. 100% Viscose which brings a superb sheen to your machine embroidery projects. Anchor Cotton machine embroidery is made of 100% mercerised Cotton which brings the very best in natural touch and smoothness to the projects. 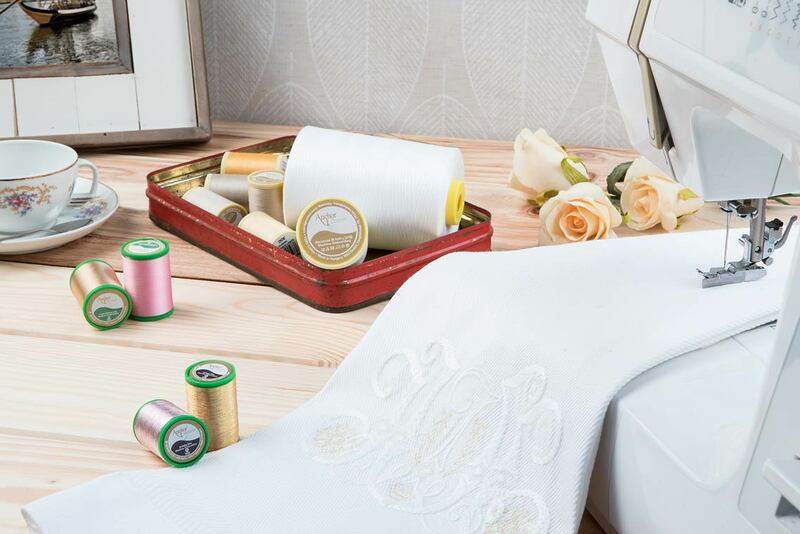 Anchor Metallic is the perfect thread to choose for a glamorous metallic effect to enhance your machine embroidery designs.